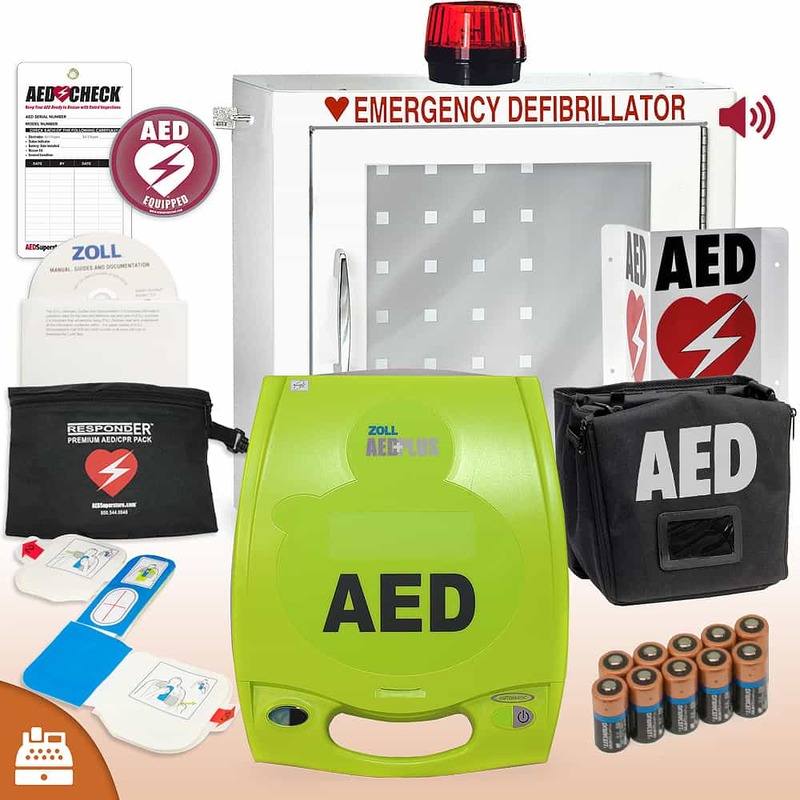 This AED is IN STOCK and ready to ship today! 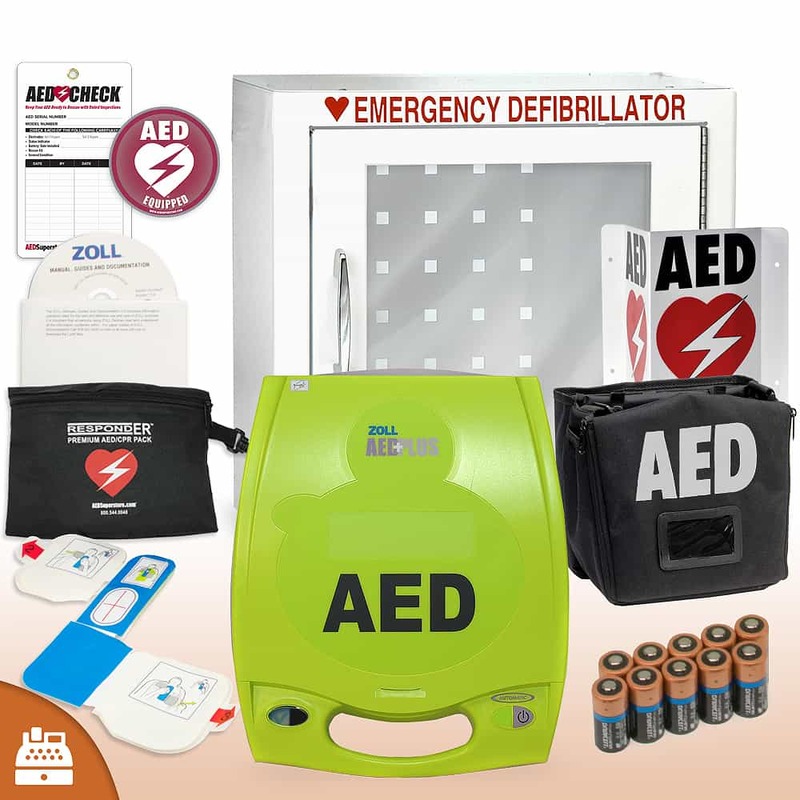 ZOLL® AED Plus® Package - includes CPR-D Padz™ Electrodes, 10 Duracell® lithium batteries, seven year manufacturer's warranty, soft carry case, and demonstration/setup CD. Click here to see cover options. Seems like a quality unit. Easy to use and easy to set up. The replacement pads are kind of expensive but measure rate and depth of CPR compressions and give prompts to correct technique. Off the shelf batteries offset the cost of the pads. Easy and intuitive to use. Super fast shipping fast shipping!